Log Them All! - Log all geocaching tracking items at once. Log Them All helped to save over 171842 hours globally that would be otherwise wasted if all this coins and TBs had been logged manually. Are you a geocoin icon collector? Did you just return from a great geocaching event with a list of TB and coins you discovered and now you are going to spend hours just to log them all? Well, you don't have to anymore. Just Log Them All at once! Just enter list of tracking codes and a log entry, your coins and TBs from the list will be logged as discovered with given log entry. If you like to see a geocoin page you can still access all logged items from your geocaching profile. When you click submit you will be taken to the geocaching.com site where you must login using your geocaching username and passwod, after you successfully log in you will be taken back here and the logging process will start. It may take a while until the page loads, depending on number of codes (about 1 second for every code). Don't click submit button more than once, don't refresh the page to prevent multiple submision of the same item. By submiting you agree with the terms and conditions. Q: Where do I enter my geocahing username? Q: Do you collect any information about me? A: We may collect your username and TB codes in some cases for statistical and debuging purposes. We do not store auth tokens, you need to authenticate every time you use this service. A: LogThemAll relies on geocaching API which is still work in progress, keeps changing and sometimes may be offline. Try later or feel free to contact me thru my geocaching profile. Q: This site is so great! You saved me a lot of time! A: I'm glad you like it, because I spent more time creating it, that I could ever save by logging my items using it. Enjoy. Log Them All is a free service and it will always stay that way. I created it in a good faith it will be useful for someone. That's why I don't charge anything for use, neither I have any ads here. However donations are appreciated and will keep this service maintained. 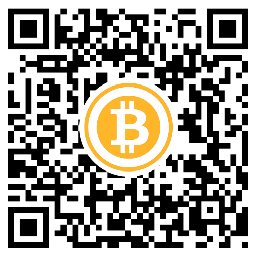 You may donate any amount using PayPal or BitCoin. This program is provided as is without any warranty, we are not responsible for any damage or loss by using it. You are not allowed to use it for any other purpose than it is meant to such as but not limited to brute force guessing tracking codes, flooding by repeated submission of the same code, spamming with ad messages. You may contact us via my geocaching profile. Your opinions are very valuable for us. Powered by Geocaching Live, © Michal Canecky aka Cano 2013.